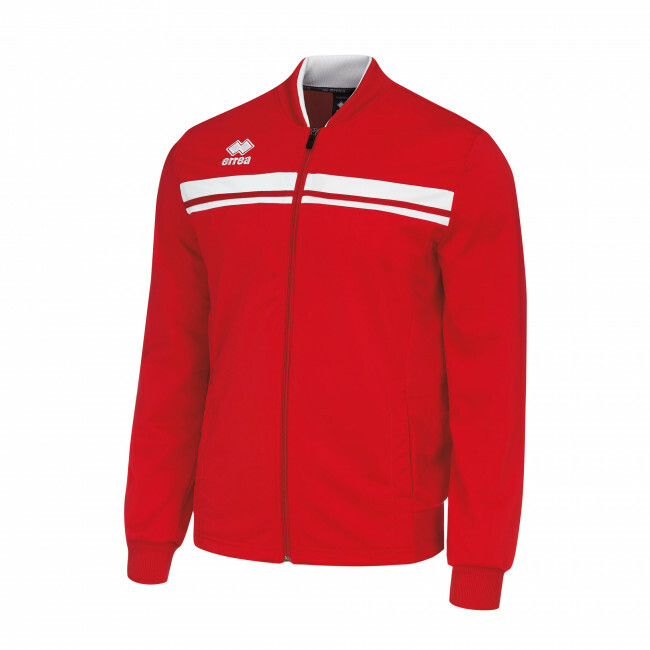 Leisurewear tracksuit top for men. Keeps out the cold and the wind. Ideal teamwear. Front horizontal stripe with polyester profile inserted on the inside. Full-length front zip. Particularly low collar for maximum comfort. Ribbed elastic on cuffs and hem. Normal wearability. Fabric: Full.